At NAA I met with the guys of Irio Mobile Marketing and here’s what John Hinckley had to say about the offerings of Irio. 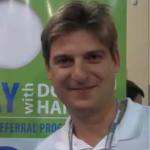 At NAA I was able to meet up with Ed Spiegel of RentMineOnline. Hear what he has to say about his company and check them out at www.RentMineOnline.com.